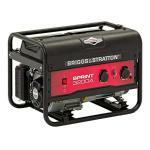 The Briggs & Stratton P2200i inverter generator offers an affordable, compact power supply configuration from a brand you can trust. The Power Boss inverter unit features computer controlled inverter technology, to automatically control your power needs. 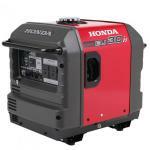 Delivering efficient, consistent, quiet power that traditional camping or home back-up generators can’t match. Ideal for the outdoor enthusiast, or boaties, caravan or motor home users, home office power back up or general compact power supply.